Welcome to my ‘virtual home’! I am always looking for something ‘different’ to have in my home! Many pieces you’ll see here I have bought myself for my home and if I had a huge home, with a huge living-room I would probably buy much more! -Get something very, very unique, like a cool chair or fun sculpture. Here are a few examples of stuff I enjoy and think are so awesome! Cool Furniture for a Cool Home! One of my favorite ‘unique home decor’ pieces are cool and unusual shaped chairs, such as these fabulous egg chairs! They are ultra-cool and ultra-modern! I remember the first time I saw one… I was truly flabbergasted! Just by adding a couple of egg-shaped chairs to your living-room in fun and bright colors, just like this gorgeous silver one you see here (or is it black? ), you will transform your entire atmosphere from ‘blah’ to ‘WOW”!! I also love the gorgeous black leather interior! Very stylish! I also LOVE purple furniture and PURPLE colors! If you want to make your home as cool and ‘un-boring’ as possible, I strongly recommend using bold and vibrant colors! Purple and orange are always great options! 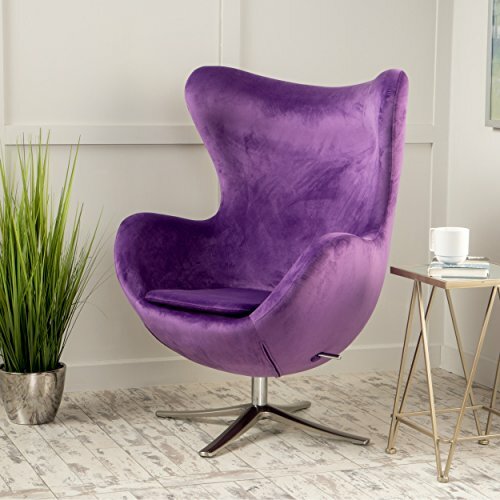 How cool is this retro style egg-shaped purple chair folks? 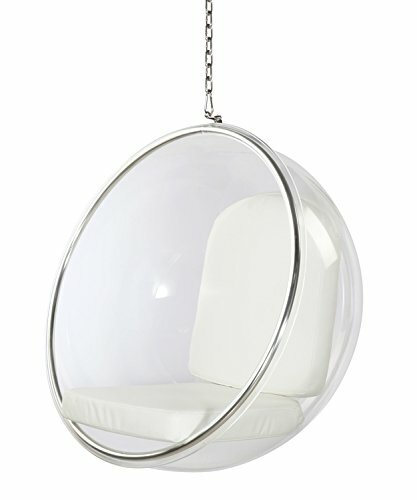 I am also CRAZY about these cool ‘hanging bubble chairs’! Can you imagine having a couple of hanging bubbles in your living-room? They are super cool, fun and definitely unusual! You can find them in several colors and designs, including these clear bubble chairs! Now everyone will be able to relax inside their own bubble! 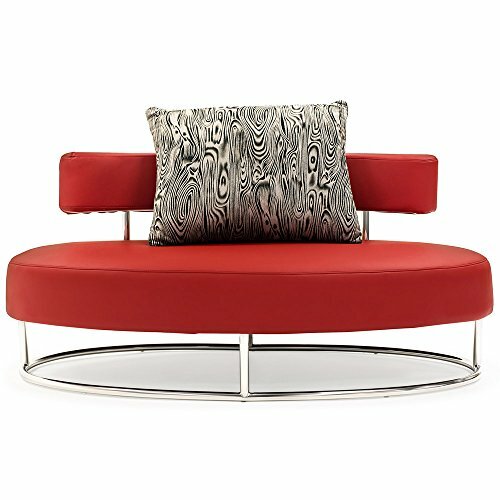 When I saw this cool and ultra-modern red lounge chair I let out a scream! Can you imagine having that on a white living-room? *Yes, it comes with the stylish silver pillow too! *Have you ever seen a high heel shoe shaped chair before? 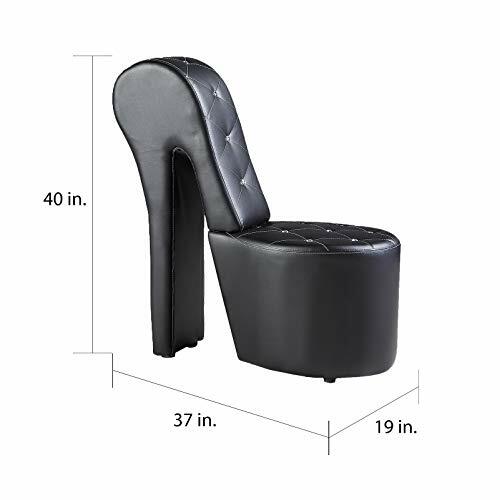 It is a gorgeous and very stylish black color high heel shaped chair! Talk about having your own personal style! In heels! 🙂 Teen girls also LOVE these and they look great in their bedrooms too! It is the ultimate cool chair for cool living-rooms! Perfect to have in a corner, near some plants or right in the middle of your cool living-room! I also enjoy cool sculpture tables and a couple of years ago I came across some of these and I went crazy! 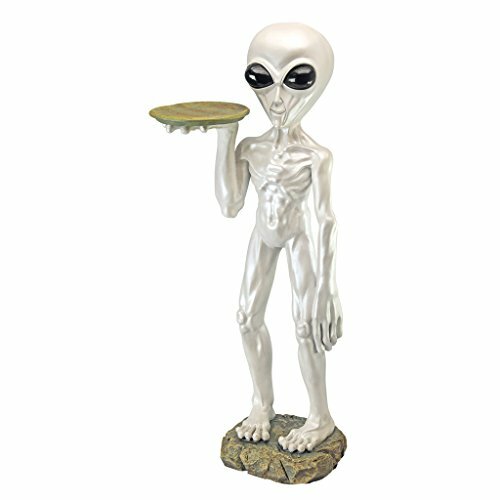 Unusual decorative coffee tables, such as this fun Alien butler sculptural pedestal table can also make your living room into a fabulously cool place! Your guests will all say ‘Wow’! when they see your cool living-room! By now I believe you have a pretty good idea what this website is all about! I am all about COOL and UNIQUE! Stick around and keep checking back on my pages for more cool stuff for your home! **All cool furniture items and decor pieces displayed on this website were selected based on extensive research done online and my personal opinion.